No photos today. I got a new computer. I haven't even begun to put my files on this one. You see, as one of my friends put it, I have gone over to the darkside--from a PC to a Mac. Now, my husband and boys have Macs and love them, so I am guessing that I soon will be ok. But right now I'm the deer in the headlights. I can tell you that I downloaded a couple things and it was fast. So fast and painless! I am having some issue with the keyboard, but I suppose I'll get used to it. So, if there are glitches here and there, you will know I'm pounding my head bloody on the screen, but so far, painless. I'm still numb, I suppose. I sat down last night and jotted some goals and dreams for 2008. Have you done this yet? Anything in particular stand out? One of my goals is to get into shape again and to eat with an eye toward health. Another thing I would like to do is find a time period each day to read my Bible (I have a plan) and pray specifically. I had gotten haphazard at the end of the year and wasn't taking care of my spiritual self. So, this covers body and soul! Finally, for my emotional well being, I finally want to finish the romance I was writing and send it out. I can't control whether it will be sold, but at least by sending it out I have done my part. I also am starting another story that I have brainstormed with friends, Sabrina and Camy, so hopefully, I can get it down, too. With a new computer, things have a way of being fresh and new. Another thing I'd love to do is try scrapbooking. I haven't a clue of how to start but it is something creative and artsy and will help catalog all of these photos I have. I am going to clear out a place in my basement for this, I think. Did you know that they choose a color of the year? Me, neither. This one has hints of purple in it and was chosen carefully for its peaceful, soothing qualities for 2008. I find this whole choosing color issue intriguing because you know that "someone" chooses the colors used in fashions each season and that colors are very important in brand recognition. (The article I read mentioned several brands that use red, for example.) Pantone, the color people who make sure that colors have names and continuity in the dye lots are maintained, comes up with these things and then the fashion industry and even paint colors, follow the recommendations. Think about everything that has color in our world. Mind boggling, actually. I've studied color and how it has been used over the centuries because I just find it intriguing. Color influences our brains, translating into moods and feelings. It harmonizes with our own coloring. We all have unique coloring in our eyes, hair, skin and even lips. Writers need to be aware of colors, especially when describing the characters in their stories. One year in the Christy Awards the judges were commenting that if they read one more description of a heroine with flaming red hair and emerald green eyes, they would spew. (I could be exaggerating.) It's true, though, that as we read we picture the heroine or hero in our minds. I think it's not only important in your writing to be able to use color descriptions, but also in your "brand" of writing. What colors do you wear to meet the public? The color you choose will "speak" before you ever do. The style you choose to wear is also your signature. I've been trying to find colors that suit my own coloring. I've had color analysts try to determine which colors make me stand out. We all want to look our best. I usually fall back on the same colors--colors my mother was picking for me when I was a little girl. She was very much a "summer" and blues were her favorites. I had a tendency to pick out yellows. I bought her a yellow gold scarf one time that looked hideous on her--but it was a good color for me. One of my friends is working on her book, her web site and the "signature" look and colors of her site. When I saw what she had done, I was thinking, "Perfect!" They were exactly the colors I think of when I think of her. So, what are going to be your signature colors for this year? What colors do you wish to have in your wardrobe, on your blogs and web sites and even in your clothes? I am leaning toward turquoises, warm citrines, yellows, chocolate browns, warm reds and yellow greens for this year. I have never been a "pink" person, so it is rare you would ever see me in it. I do like this Blue Iris, but probably wouldn't choose it to wear. Will it influence my purchases for this year? Time will tell. I will be looking for it, though, as the year unfolds, now that I know it is a color that was chosen especially for this year! Your world is colored with happy, warm, fun colors. You have a thoughtful and wise way about you. Some people might even consider you a genius. Charming and eloquent, you are able to get people to do things your way. While you seem spontaneous and free wheeling, you are calculating to the extreme. Your color wheel opposite is purple. You both are charismatic leaders, but purple people act like you have no depth. 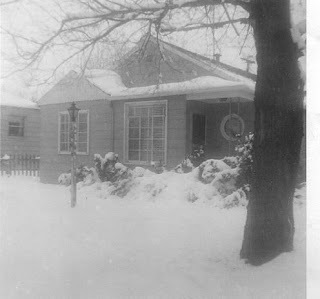 I've lived in a lot of different houses and places in Indiana growing up and now growing old, and lived in one place in Tennessee as a toddler. I don't think that I will ever live outside of Indiana again, but you never know. 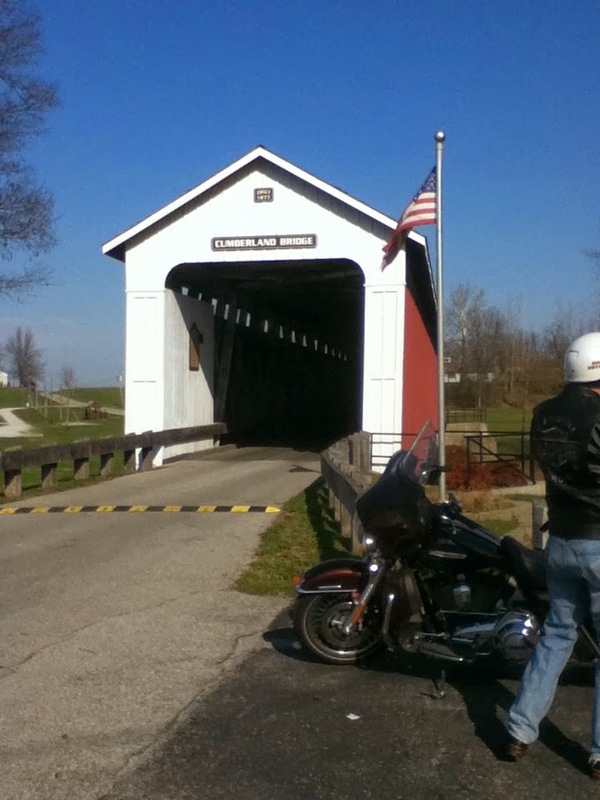 (My husband is a dyed-in-the-wool Hoosier who once said he would not cross her borders--but he did--so there you go.) One thing I've found out: I'm not much of a city girl. Put me in boots and jeans and set me down in the country. For a bit of lightheartedness because there is so much gloom (the Indiana white-gray skies are upon us) and doom (lots of troubles with those around me,) I've been taking some of the fun tests. I see that Pam and Peg are also Blue Christmas tree people--yes, I love the movie, It's a Wonderful Life (and sometimes wonder if I'm close to getting saved by Clarence, too. )I dislike conflict. These tests, while meant for fun, have grains of truth in them. If you answer honestly, it really does peg you on points of your personality. My husband is working on Christmas eve and Christmas day, so while he is doing that, I'm relaxing in the next few days and doing some end-of-the-year evaluations and goal-setting. Not sure if this helps, but surely it doesn't hoirt. Cara Putnam did the What City Should You Live In? test, too. Stylish and expressive, you were meant for Paris. The art, the fashion, the wine! You'll love living in the most chic place on earth. What City Do You Belong In? And I must be in a Paris mood because I also should be spending Christmas there! What Country Should You Spend the Holidays In? Expressive, deep, and one of a kind. You pull off "weird" well - hardly anyone notices. What's Your Funky Inner Hair Color? And oddly enough, French is the language I should learn. Hmmm. I do like creme brulee the best of allllllll desserts! C'est super! You appreciate the finer things in life... wine, art, cheese, love affairs. What Language Should You Learn? These are my parents back in the late '50s. My mother was ill with tuberculosis and was confined to a hospital specifically for the disease in Ft. Wayne, Indiana. (The hospital is in the background.) Until she died in 1997, she still kept in touch with at least one other patient at that hospital, a woman whose in-laws were Amish and who were keeping her little girl. Mom said that they used electricity and stayed in this woman's house because the "little English girl" was used to that. That's a story I would love to use sometime, don't you think? Anyway, what makes me think of all this today is because my parents were married on December 22 at exactly 12 noon. (About 56 years ago--you do the math.) My dad was an owner-operator long haul trucker and wherever he was in the U.S. at exactly 12 noon on December 22, he would stop and call my mom up to wish her a happy anniversary. They both are dead now, but that is a nice memory that I have of my parents. This was back before cell phones and finding a phone was something he would have had to consciously pursue to make it happen! While my mother was Indiana in the hospital, my dad was working hard and making money for his family in the Midwest, I was with his parents and siblings in Tennessee. This is a photo that my grandmother staged and sent to my mother in the hospital, oh, so far away. My mother had lost 5 babies prior to me. The last time her baby died, she refused for about a week after they told her, to go in to get a D&C because she desperately believed that the baby was "ok." They had to make her go before she became ill or got an infection.So, you see, I was a much wanted baby, and she had to give me up before she'd even had me very long. Mom told me that when she got this photo, she just cried. She thought I looked so sad and then they had put a photo of her in the picture by the Christmas tree. I think Grandmother wanted my mom to know that they were telling me about her and that I knew who my mother was--if only as a picture. I still have the picture that is in this picture and there is a story about that picture, too. I took a test to see what color my Christmas tree should be, since I've been really thinking about color lately. Here's mine. Check yours out! For you, the holidays represent a time of calm, understanding, and peace. You avoid family fights, and you don't get too stressed out - even when things are crazy! You like to make Christmas about making everyone's life a little bit better. You don't get caught up in greed or commercialism. You're too sincere for that. What Color Christmas Tree Should You Have? Normally, I talk about light topics and whatever interests me for the moment here in the Cafe'. Today I wanted to bring your attention to Kristy Dykes, a vibrant woman who breathes in and out her faith and exuberance for life--both here and THERE. She writes Christian romances and recently was diagnosed with a malignant brain tumor. Since her surgery her pastor husband, Milton, has been writing on her blog and it reads like a romance novel. It is hot! But today Kristy will be going to The Healing Room at 10:00 a.m. (Eastern time), Wednesday, December 19th. Tracy Ruckman sent word and here's what she said: "Let's all join in prayer (and fasting if you feel called to do so) for God to heal her as He did Brandilyn Collins several years ago. Let's pray and watch Him touch Kristy and remove all traces of cancer from her body, then let us go forth as writers and spread the word of His great and mighty work. We've all prayed for a miracle this side of Heaven, and TODAY is the day! P.S. If you've not heard/read about Brandilyn's healing from Lyme disease, you can read the miraculous story here: http://www.brandilyncollins.com/healing.html "
Who knows how God will use our lives? And why do we cling so desperately to life? Lately, there have been several people I have heard about (in my life) who are not clinging to life. In fact they seem to be pushing life away with both hands and making all around them miserable, as well. I wish those people could spend five minutes with someone like Kristy. Maybe it would turn their lives around. Maybe not. Everyone has choices. People in POW camps chose to live in the hope of freedom. They clung to the breath of life, no matter what happened to them, what was said to them. People who lived (and many died) in the Nazi concentration camps, clung to the thread of life with not even a shred of dignity offered to them, but yet many held on and survived. The same happens here today. Someone is in an abusive situation, but is clinging to survival, without much encouragement. It is something that comes from within the person, and I can only explain it by saying God plants it into your soul, and only you can let it grow. If you are suffering at this time of year, don't give up! Read about Kristy and give yourself a gift--a gift to hang in there. I do believe there comes a time to die for everyone. In the movie Braveheart the princess says to the dying wicked king, "Death comes to us all." The thing is, when that time comes, you want to be at a place that you face it with a peace in your soul, with a joy, not with hatred gleaming in your eye, or a "woe is me" attitude. I love talking about color, reading about color and it's something I feel passionate about. When I was a kid, my very favorite thing to get was a new box of 64 Crayola crayons. I think it is because of the colors, but autumn is my favorite time of year. I live where the seasons change, and the colors of fall are my favorites. I always thought it would've been romantic to be married in autumn colors in October, outside in a blaze of color. Every so often I do these tests, just because it is interesting to me. Well, I took this one, and believe it or not, I'm an autumn. (smile) Who knew? Next is to figure out what colors to wear! What Season Woman Are You? Much like the last 50 years, I don't know what happened last week! I'm behind on everything. Part of my problem was weather. We've had about 12 inches of snow,ice and today is very cold. Brrcheevies. No sunshine. I'm in a blue mood and feeling old. What can I do to motivate myself and cheer myself up? Don't know yet. I live in the middle of nowhere and we have a satellite dish for our internet. It was moving slower than Christmas this past week! So, to get back on track, I have to announce winners of the books and coffee on When I Was Just a Kid, but I took a test about what color I should paint my room. Not that I'm going to paint my room, but it was mainly to see what I am like and what I like. I have to say, this is one of my favorite colors. And not only that, this is exactly what I need for the new year(what the color inspires.) Maybe I need to really paint my office yellow! I would like that a lot. Maybe if I just put up a lot of sunflowers and daisies and yellow accents? It's a thought. What do you need to happen for your new year? What are your goals and dreams? I am thinking about this now. Bright and bold, yellow is truly the color of inspiration. Your yellow room will drive you to think clearly, develop new ideas, and be organized. Yellow is also energizing and very powerful. So don't expect to rest in there! What Color Should You Paint Your Room? The day started out as a blizzard. Her dad was a long haul trucker and had to work and was "on the road." Her mom had to make it to the hospital slip-sliding on treacherous roads. The snow stopped. The doc went outside to hunt rabbits while the young mother, who had lost 5 previous babies, labored. He told the nurse to hollar out the window when it was time. The state, Indiana, was celebrating its birthday, too. The dad finally made it home and the baby was already here. The mom, drugged by something called "twilight" (awake, but feeling little pain,) cried and said, "I'm sorry, it's a giiiiiiirrrrrl." The dad said, "That's ok. We'll keep her, anyway." I miss them both today. Thanks for Reading and Making My Day Great! How About a Cuppa Coffee with that Book? A few of you left comments on Teena Stewart's Kid Interview to have a chance to win her free book. Well! She decided to "sweeten the pot," due to getting ready to leave for a new adventure in missions soon. Not only will you win a free book, but also free coffee and a mug! See, Teena and her husband, Jeff, are selling out in California and moving across the country to open a coffee house ministry. What if you could minister to those who might never take a chance to walk inside a church, but would go to a coffee shop to talk about Jesus? Jeff and Teena wanted to do this and have years of experience as pastors and in ministry (thus, Teena's book on Small Groups) and now have taken a huge leap of faith to do this. You can help here, but Teena wants the winner to get the first cuppa coffee, thus throwing in the extra treat with her book. SO WHAT ARE YOU WAITING FOR? Sign up for a chance at that book and the coffee and pass the word along. Click here to sign up--I've added a few more days and won't draw a winner until Friday. Successful Small Groups: From Concept to Practice(Beacon Hill) on small groups in stores and available right now. I read a lot of books. I was a book reviewer for several years, so I got used to reading several books for each review I would write. I gave up book reviewing for every magazine, except I do occasionally review for Church Libraries magazine and also recently published a book review in Christian Communicator magazine. I wanted to have time and energy for my own writing. These days I read manuscripts for a publisher. Even those I'm cutting down on, but I love working with authors and evaluating fiction. Still, after all this work in the publishing industry, I can't seem to stop consuming books and reading about authors. So, these days I put some of that passion for printed words into my own writing about people (and a lot of them write books or articles or work in the publishing industry) when they were young. Right now I have two book giveaways going on at When I Was Just a Kid blog. Mona Hodgson writes beautiful children's books and is giving away a gorgeous hard cover book called, How Did Bible Heroes Pray? Hop over to her interview and leave a comment right now to be entered into that drawing. Right now, there are only 2 people signed up. How Did Bible Heroes Pray? Feel free to leave Mona a comment, even if you are not entering the drawing, too! Also, look below as Teena M. Stewart has a book out called, Successful Small Groups from Concept to Practice (Beacon Hill.) If you are involved in small groups you will want to check this out. Leave your comment at the blogs I've indicated and you could be entered into the drawing. And come by When I Was Just a Kid blog for the next couple weeks--I have more children's authors lined up if you are looking for books to give for Christmas to kids. This photo shows Teena with her siblings before her baby sister entered the scene. She's the skinny kid in the dress. 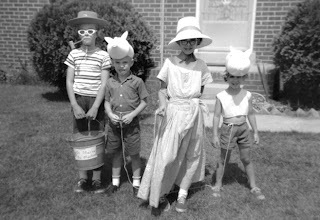 Teena remembers about the photo: "We had a neighborhood 4th of July parade and there was a contest for best theme. My dad chose To Market, To Market to Buy a Fat Pig or something about a farmer taking pigs to market. I was the farmer's wife and my older sister, Vicki, was the farmer. I really didn't wear glasses. I think those were an old pair of sunglasses. Dad made pigs out of Clorox bottles and stuck them on my brother's and sister's heads. When Teena Stewart was growing up in Virginia, she never expected she would ever leave. But one day she met an exciting American-Scotsman and married him, and it was off on adventures with her pastor-husband from Virginia to Pennsylvania to Colorado to California to Scotland, and who knows where next? Moss doesn't grow under the Stewarts' feet, and certainly not under Teena's. No matter how long she stays in one place, she is moving. Her next move? To head up a coffee shop ministry on the East Coast! She and husband Jeff are pulling up stakes in California to follow God's calling once again. Today Teena, a writer who has penned over 1000 articles, as well as short stories, fiction and ezines, and then finds time to head up ministries from one ocean to the other, still finds occasions to dress up. If we could get her three grown-up kids to talk to us, they'd tell us of the many funny skits and "dress-up" occasions, like posing for the famous Stewart Christmas cards, to be much like what Teena's dad instigated in a Fourth of July parade. But Teena is shy and humble about what she does--even though her lifetime of work thus far speaks volumes about her talents. She has a B.A. degree in fine arts and paints portraits of pets, furniture that would make Mary Englebreit feature her if she only knew about her work, and she designs anything--from logos that appear on blogs, to web designs and web sites--well, Teena is an artist, too. 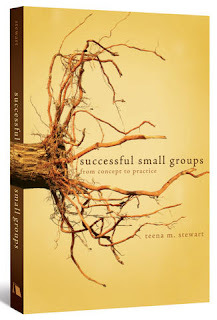 So what can we find out about Teena Stewart as a child that molded a woman so extremely talented who has a new book out--Successful Small Groups from Concept to Practice ? She's still shy, even though she can speak in front of groups with boldness about the God she serves, and topics that drive her passions. Dissolve yeast in warm water. Mix together mashed potatoes, sugar, shortening, butter, and salt in a large bowl. Add yeast mixture and stir until blended. Cover mixing bowl and set aside to rise in a warm place until spongy. Stir in eggs and enough sifted flour to make a soft dough. Shape dough into a ball and place in a greased bowl, turning to grease top. Cover and allow to rise until double in bulk--about 2 hours. Turn dough onto a lightly floured surface and knead 5 minutes or until smooth and elastic. Divide dough in half and spread out evenly in 2 greased baking pans, 13x9x2". Set aside to rise again. When double in bulk, use your fingers to make holes 1 1/2" to 2" apart all over the dough. Fill holes with brown sugar and generous pieces of butter. Sprinkle cinnamon over entire cake. Bake in a preheated 375-degree oven for 20 minutes or until golden brown. Because of the size of the cake, it is usually cut in halves to wrap for giving. Cakes can be frozen and reheated for serving. Makes 2 cakes, each 13x9". Teena Stewart writes a monthly column for DreamBuilders Ministry in Motion's MIM Ezine, a place where those in ministry--whether pastor or other staff members in churches--can go to find solutions, support and materials and ideas and ministry resources. What she didn't include in her information for me is that she created and continues to develop this ministry, and she then was able to recruit others into keeping it going. Don't know what your spiritual gifts are? Teena has answers. If you need some help and support on raising your teen, Teena (alone and with her sometime co-author) covers that. If you are interested in writing for Dreambuilders, check out the writers' guidelines. 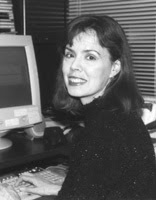 She has published and written numerous suspenseful short stories and fiction, and started a blog covering the topic of suspense fiction called Whispers in the Darkness. And look into Java Journey as Teena and husband, Jeff, are getting ready to embark on a coffee house ministry. Whatever Teena turns her attention to, you can bet she will soon be an expert, and her blog explores the gamut on fiction books and within the genres of mystery and suspense. If you have an interest in this type of writing, check out this blog. Her publication credits also include but are not limited to: Discipleship Journal, Leadership Journal, Minister’s Family Magazine, Ministry Magazine, Woman Alive, Woman's Touch and many other publications. 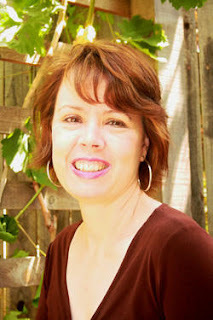 Teena's passions have caused her to write so many articles, she seriously has lost track of the number, but now she is turning her writing to books and Successful Small Groups: From Concept to Practice(Beacon Hill) on small groups was released in November 2007. Order this book now or leave a comment and enter a drawing for this book which I will draw on December 11th. The names will be drawn from this blog and also the When I Was Just a Kid blog. Sorry, you must have a U.S. address.